There were two important reports on the economy released this morning. 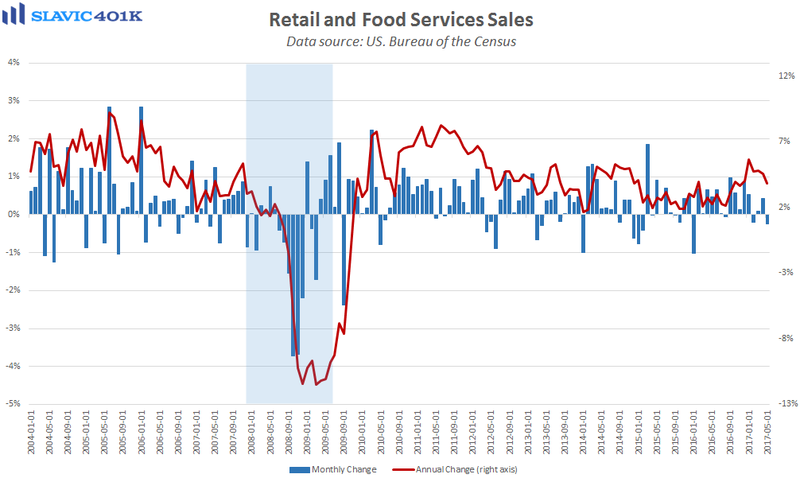 First, data from the U.S. Census Bureau showed that advance estimates of retail and food services sales in May totaled $473.8 billion. That was a 0.3 percent decrease from April and significantly worse than economists had expected. The declines were broad based last month, including large losses in the motor vehicles and electronics arenas. 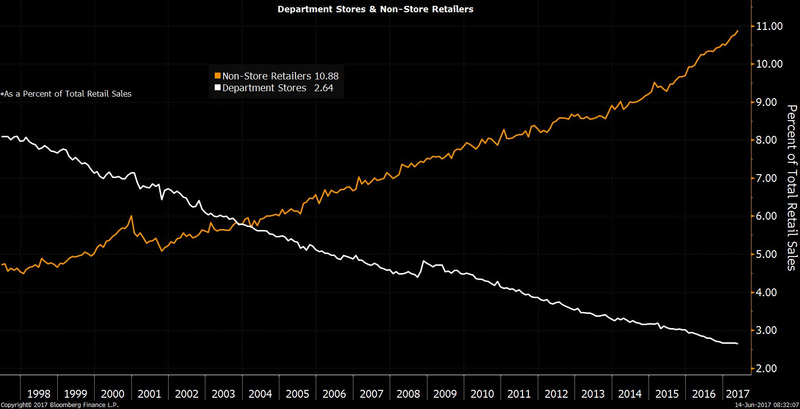 Department store sales were also weak in May, with purchases falling by the most since July 2016, while sales at nonstore retailers (Amazon) continued to expand. Core retail sales, which exclude the more volatile automotive and gasoline components, were flat in May. That was worse than anticipated but the April figure was revised much higher. 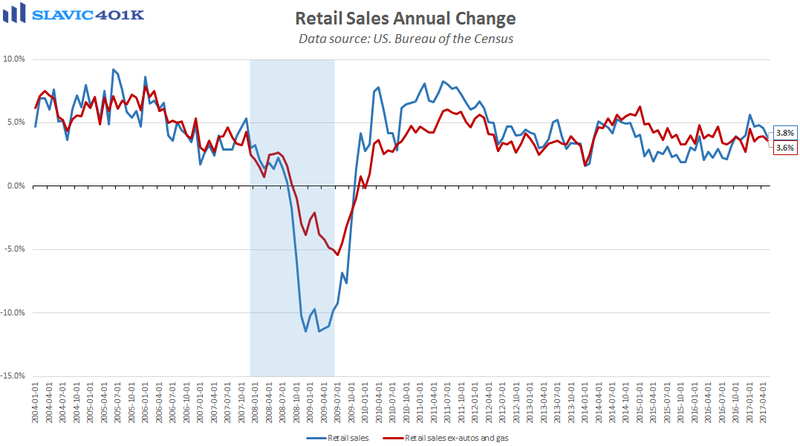 On a year-over-year basis, both headline and core retail sales growth weakened in May. Although disappointing, this data point alone likely will not be enough to dissuade Federal Reserve officials from raising interest rates at today’s monetary policy meeting. 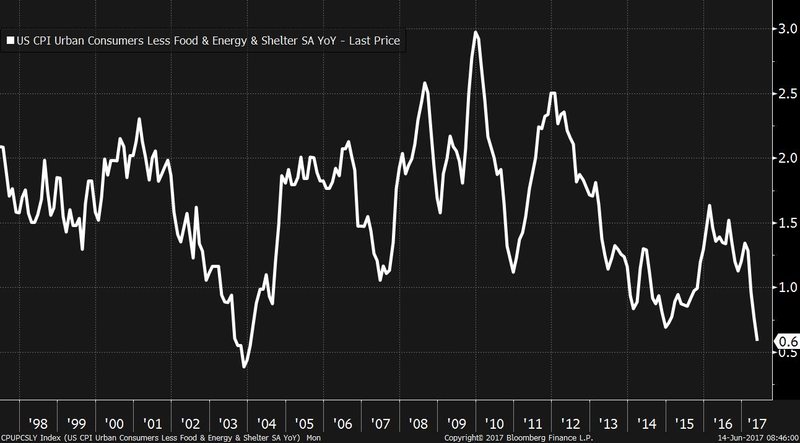 Indeed, consumer spending on services, which is not captured in this monthly retail sales report, remains solid, and the continued strength in the U.S. job market should help fuel increased consumption down the road. 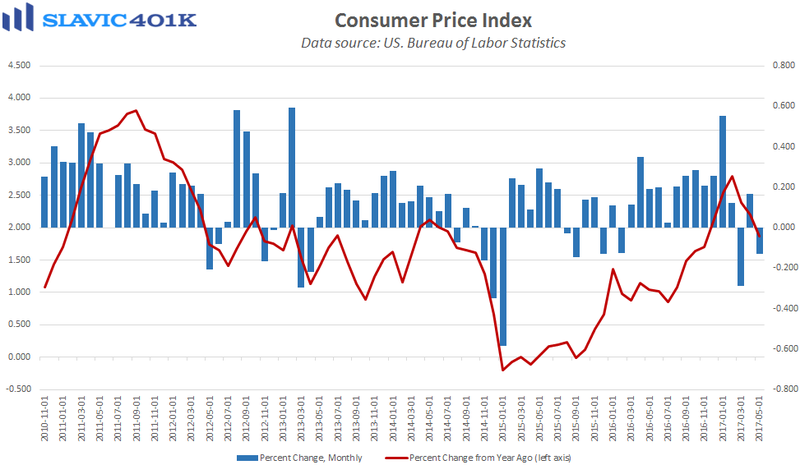 Next, a report from the Bureau of Labor Statistics (BLS) showed that household inflation pressures softened last month, with the consumer price index (CPI) for all urban consumers falling by 0.1 percent. 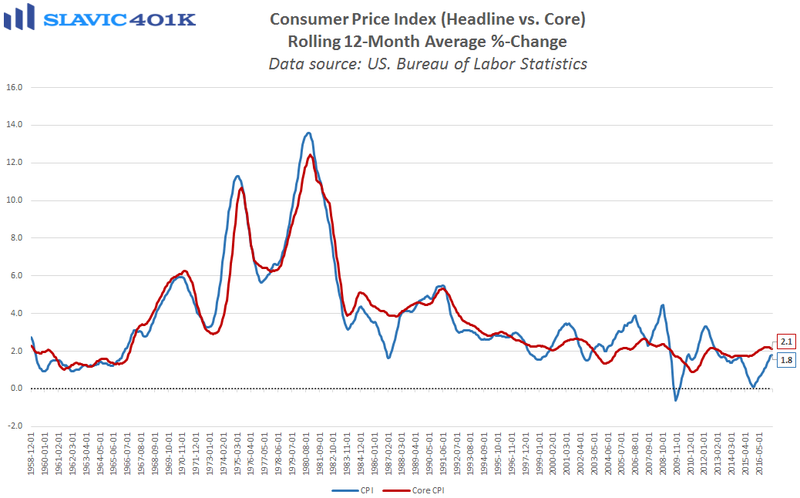 That was slightly below expectations and enough to pull the annual pace of growth below the Fed’s 2.0 percent “target.” A lot of the headline decline was due to a sharp drop in gasoline prices last month but even “core” CPI rose by less than forecast in May. 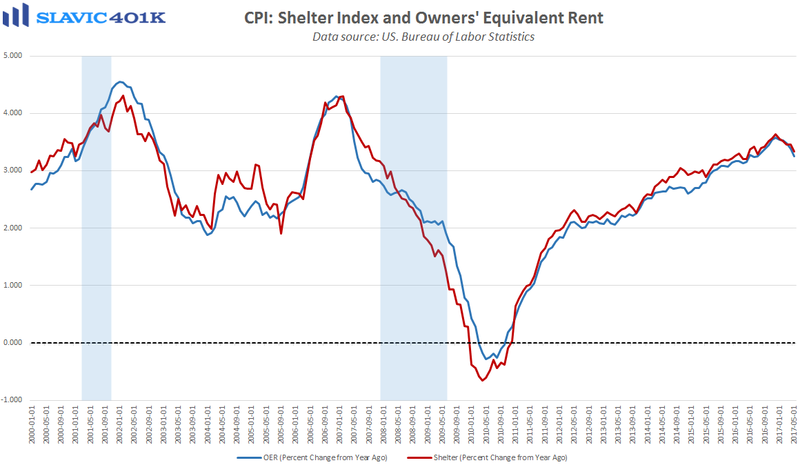 In fact, core CPI excluding shelter costs (rent) grew last month at the slowest pace recorded since 2004. 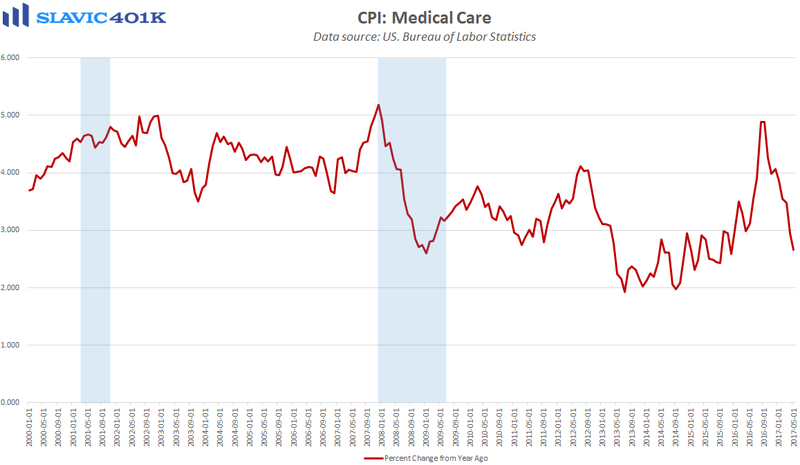 Similar to retail sales, this data point will likely not be able to prevent officials at the Federal Reserve from hiking rates later this afternoon but the recent softening in U.S. inflationary pressures should raise uncertainty about what will happen at subsequent policy meetings.